How Many Rooms Do You Want to Heat? What Should You Expect From Your Heat Pump? Choose a brand you can trust. 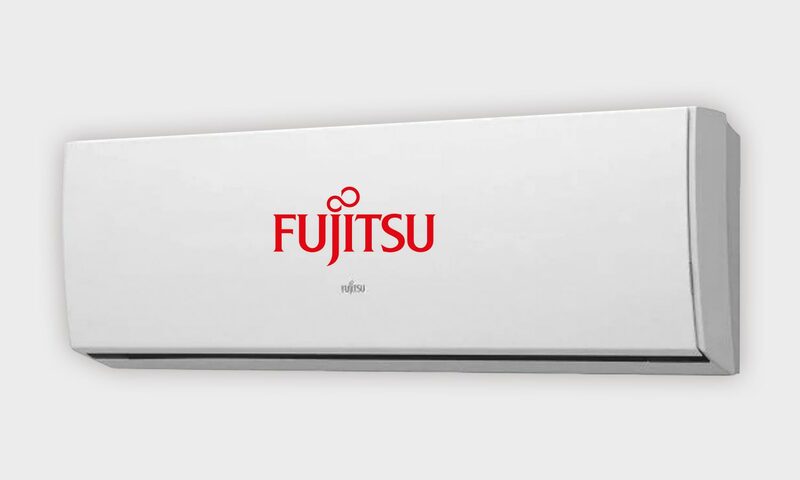 Consider the warranty; Fujitsu offer the longest warranty in New Zealand, covering 6 Years full parts and labour when your heat pump is installed by a Fujitsu Accredited Installer. Efficiency means lower running costs and a healthier environment. Heat pumps are the most efficient form of heating, but different brands have different levels of efficiency too. Check the Energy Star logo and EECA ratings before you buy. Most heat pumps are quiet indoors as the only sound comes from the fan. You’ll find the decibel levels of our heat pumps in the brochure specifications. 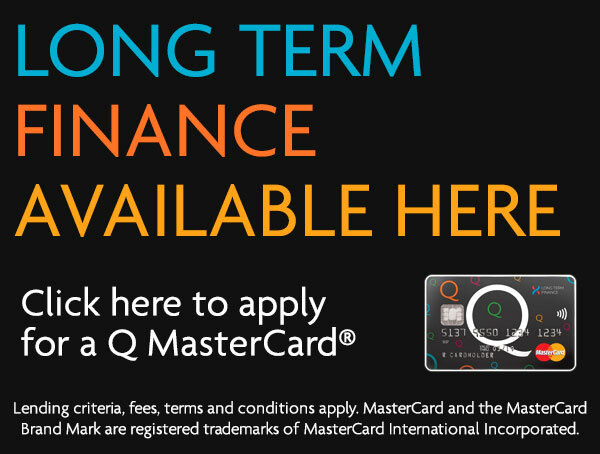 The process is simple, call us or email an enquiry and book us in for a free assessment. We will advise you of the optimum solution for your home, upon our visit we will discuss with you the specific heating/cooling needs you have and your expectations of the system to be installed in your home. We will then produce a quote for you to consider, this will be followed up with a curtesy call about 1 week later to allow all the detail to be absorbed and often there are questions and options which can be selected or de-selected once you’ve absorbed the majority of the information. eg. you may want to add motorized dampers to isolate rooms when not in use. So make sure you consider a ducted system when thinking about your home heating, for anyone building a new home we promise you it is a worthwhile exercise for the money. See what some of our customers have said about their experience with New Zealand Heat Pumps: View Testimonials. Contact New Zealand Heat Pumps – call free 0800 200 400 or use our contact form. New Zealand Heat Pumps will provide a full free assessment. Take time to carefully consider the quote. New Zealand Heat Pumps will contact you and discuss your response to the quote and advise next steps. Which Type of Heat Pump will Suit You Best? Nearly all heat pumps are split systems – that means they have an outdoor unit – which contains the compressor, and a discreet indoor unit that contains the fan that circulates the warm air (or cool air in the summer). These units are designed to be discreet both in appearance and operation. The outdoor unit contains the compressor, which is the busy part. 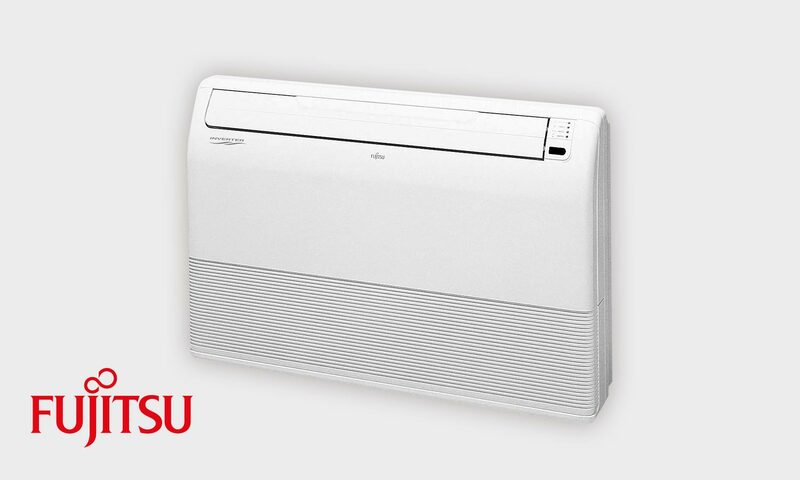 The indoor unit simply has a fan to circulate the warm or cold air as required. The indoor environment is then quieter, with the equipment arranged like this. Choose the indoor type and model that suits you best. Designed for small rooms like bedrooms, this quiet compact range of wall mounted indoor units are discreet and suit most decors. This smart compact unit offers many extra features such as the Human Sensor. 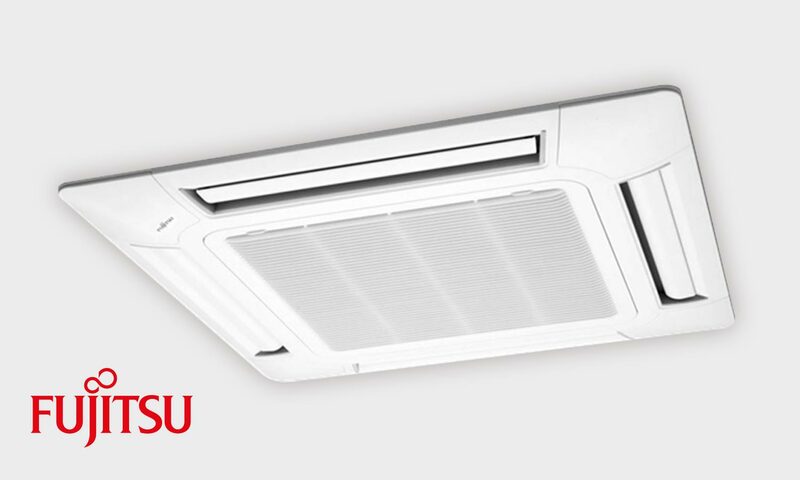 It is efficient and quiet, suitable for small and medium size rooms. These large capacity indoor units are suitable for large living areas. Suitable for floor or ceiling installation, this model is designed for a medium to large living area. 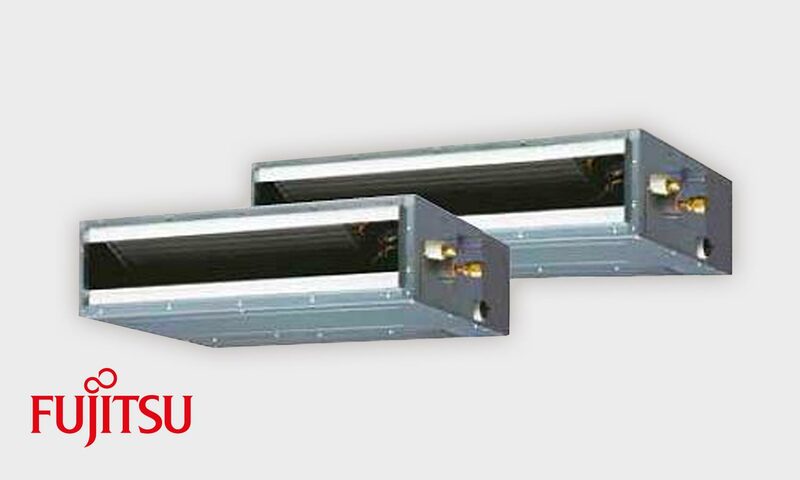 These compact cassette models have a 4-way air flow direction or optional 3-way. They sit discreetly in the ceiling with just the grille showing. These bulkhead models are discreet in appearance and can also use the smart auto louvre grill option. 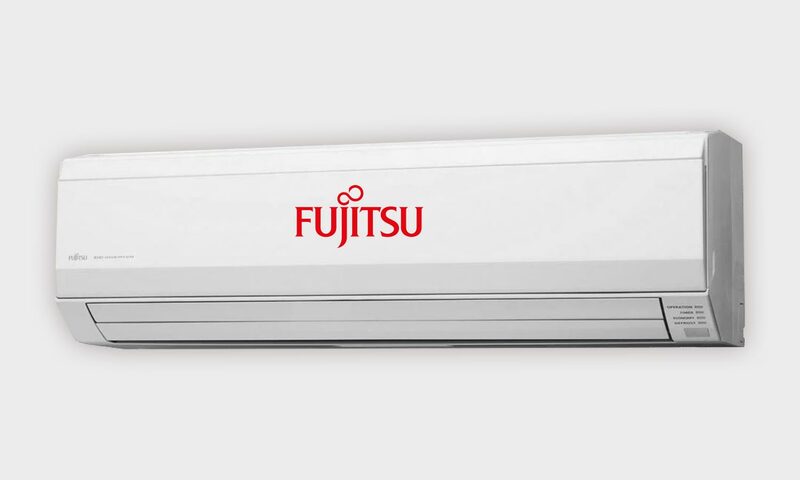 This is a Fujitsu world exclusive – an automatic filter that cleans itself, sterilises dirt and dust and therefore refreshes the air, as well saving energy wasted by dirty filters.